"Thank you for visiting the website of AFROTC Detachment 640 at Miami University in Oxford, Ohio. Our superb cadre members take great pride in preparing cadets to serve their country as commissioned officers who embody the Air Force Core Values of Integrity, Service and Excellence. Please look around our website and explore the outstanding opportunities available in AFROTC at Miami University. If you are visiting the local area please stop by and we’ll be happy to show you the detachment and introduce you to the staff. If you have any questions or would like additional information regarding AFROTC at Miami University please do not hesitate to give us a call. We look forward to meeting you!" Air Force ROTC unofficially began with the passage of the Morrill Act (Land-Grant Act) in 1862, which established military training at land-grant colleges and universities. But the name "Reserve Officer Training Corps," or ROTC, was actually created by the passage of the National Defense Act in 1916. In the 1920s, AFROTC began focusing on successful engineering schools to establish its programs. And by the 1950s, there were 188 AFROTC units with 145,000 cadets. Women began joining Air Force ROTC nationally in 1970. And in 1987, the scholarship program for high school seniors began. Our unit has a history of producing outstanding officers for the US Air Force for over 70 years! ROTC began at Miami University following WWII, and has produced leaders such as the former Vice Chairman of the Joint Chiefs of Staff, the Supreme Allied Commander of NATO, and the first African American professor at Miami University. The Air Force is looking for qualified and motivated young people to train for tomorrow's leadership, and the opportunities have never been better. 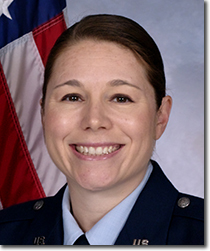 The Air Force Reserve Officer Training Corps (AFROTC), in the College of Arts and Science at Miami University, recruits, educates, trains, and commissions officer candidates through a campus program to meet the needs of the world's greatest Air Force. Browse our website and learn more about our outstanding detachment and what AFROTC can do for you.